Ryerson Roofing has served and repaired roofing in systems in Flower Mound for over a decade. We pride ourselves in the fact that we are year around professional roofers. Our company does not just show up in your town when severe weather has happened. Throughout the year we help residents and local businesses in all things roofing. From small leaks, molding and deteriorated decking and flashing replacement are just some of the services we offer Flower MJound, Texas year around. There are many roofing companies in Flower Mound, Texas trying to earn and serve your community. Homes and Roofing System were hit hard this year by high winds and damaging hail. These storms bring out all types of companies and start up companies in Flower Mound, Texas and surrounding effected areas. We invite you to take a closer look at our company, what our past customers are saying on platforms like Facebook and Google Reviews. We are proud members of the Better Business Bureau, Preferred Vendors with Owens Corning and work closely with Energy Star approved vendors when the need arises. 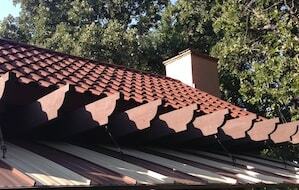 Ryerson Roofing specializes in higher end homes in the Flower Mound area. If your home doesn’t already meet the High Performance Home Standards, ask us about what it means to have a truly high performance roof. Our contractor services offer the best in roofing systems and roofing repairs that increase your home’s efficiency year after year. Our company is now proudly over 20 years in business, servicing the Flower Mound businesses and residents with the best in customer service, roofing systems and second to none craftsmanship on every job.